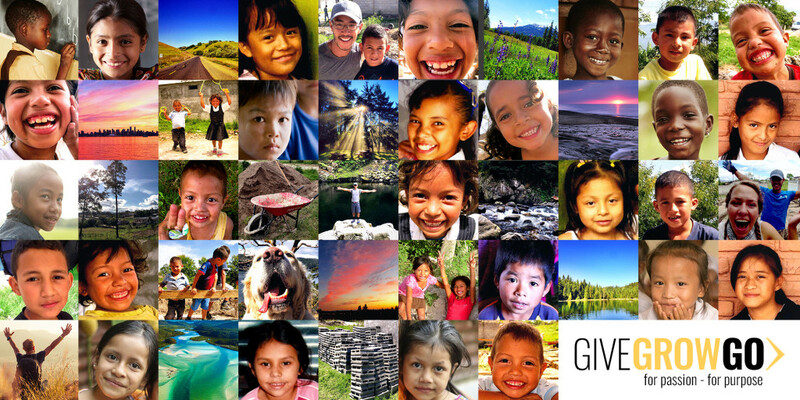 GIVEGROWGO is a for-passion | for-purpose movement that is dedicated to building lives and leaving legacies. We are building lives through giving. We are leaving legacies by growing both personally and as a community. We are making ‘someday’ today by being go-getters. We are a for-purpose organization of like-minded individuals who are passionate about philanthropy, volunteering, charity work, music, travel, and helping under-privileged women and children. We are bringing people and communities together from around the world. We are finding and promoting synergies between individuals, companies, causes and for-purpose movements so that everyone’s time, money and expertise can be used to complement each other to do greater things. Think of GIVEGROWGO as igniting the spark. We are full of ideas on how we can make a difference and change the world. Jump on board with us and make ‘someday’ today! READ ABOUT MIKE’S STORY BY CLICKING HERE. GIVEGROWGO is in the midst of determining our vision and mission statement. We are working through hundreds of possibilities but want to see how our movement organically evolves in the next 12 months. We aren’t in a rush, but instead, we want to explore all avenues, gain more experience and talk to as many people as possible for ideas and recommendations on our growth. GIVEGROWGO is posting our ‘IDEAS’ periodically on our website. They are bright yellow rectangles… you can’t miss them! We are a non-profit, for-purpose organization that is applying for charity registration. Please stay tuned for more details. Building Lives. Leaving Legacies. Make Someday Today. Build Lives. Leave Legacies. Make Someday Today.